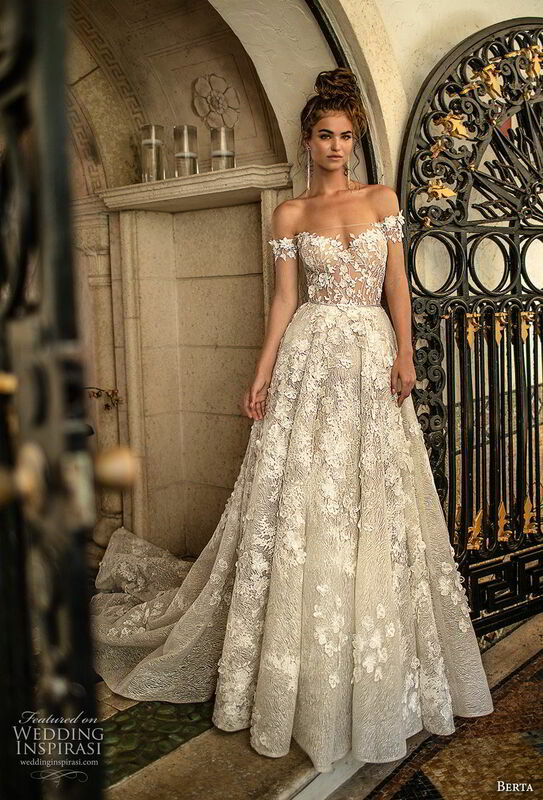 An intoxicating mix of sultriness and luxury, vintage and modern breaths dazzling newness into Berta’s Spring 2019 bridal collection. This season, it’s all about dramatic details: hand beaded embellishments, feathers, plunging necklines, open backs, flowing capes, and voluminous trains. 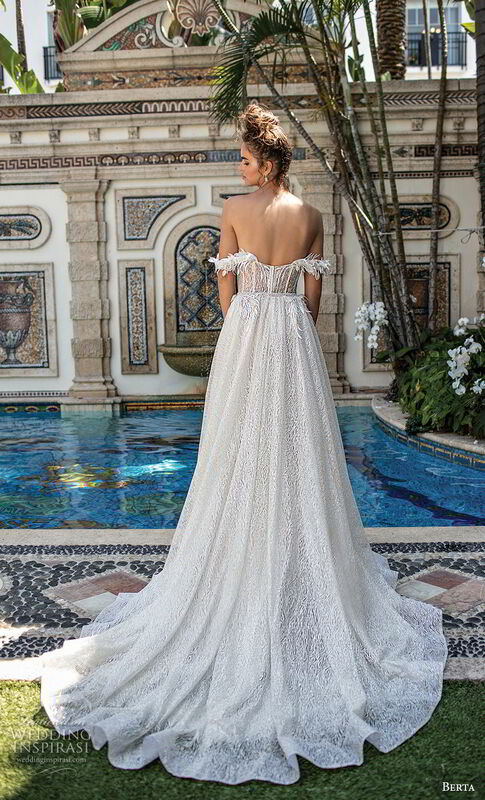 The juxtaposition of ideas for the Wedding Dress is echoed in the location of the campaign, which is shot in Miami, a city known for its melting pot of cultures and glitz.